Daniel Flores founded The Black Book Conversations ATL group (http://www.tbbcatl.com) mid-2012 to offer a series of artist workshops focused on artist career development where he shares tools and tips to get an art career off the ground and running. To end the year off right, he decided to organize the Art is King 3-Day Event (http://www.artisking.org) at the Holiday Inn Express in Camp Creek. Art is King offered artists a unique opportunity to learn from industry professionals and each other tips, tactics, strategies and more to take their art and their careers to the next level. Sponsors included AT&T, Binders Art School & Store, Alexander Photos, iNetworkInc.org, and many more (http://www.artisking.org/sponsors.html). I was honored to be asked to do the morning keynotes on Saturday and Sunday (see my notes below). But even more so I was honored to be a sponsor of such an important event for ATL artists, so necessary as the economic marketplace for art is dramatically changing. One of the things I enjoyed at the conference was the opportunity to meet and speak with the different artists themselves. To learn about their craft and their projects and what makes them do what they do. They shared their art, their stories, their dreams, and their challenges and struggles. Legendary artists such as Neal Hamilton and Gilbert Young, among many other panelists (http://www.artisking.org/panelists.html), offered insights and inspiration to the younger generation and a call to action – honor your elders, learn the artistic history of your place, practice your craft, work hard, and elevate each other. Below are a few of my notes for your reference. I was not able to attend all the events, but this is from what I experienced. 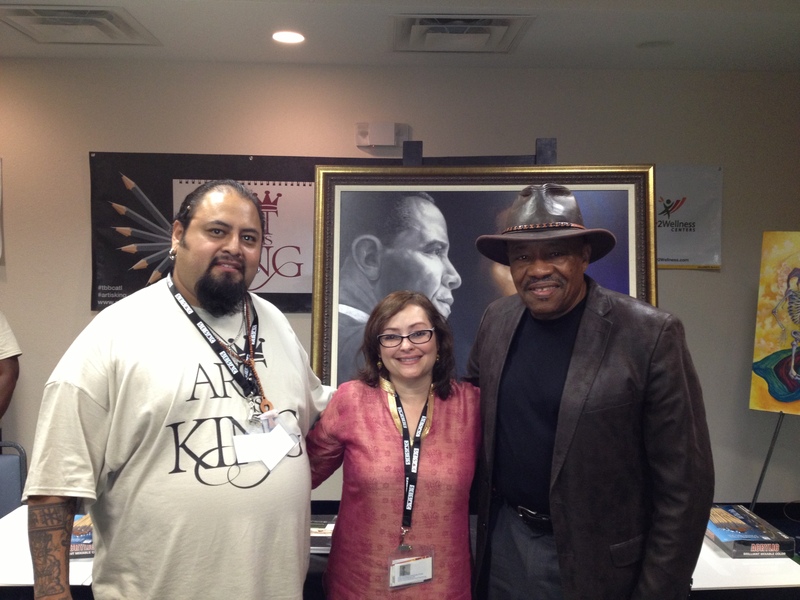 Enjoy and be on the lookout for Art is King 2013 – I have already committed to being there – hope to see you too! Were you there this year? Share what you learned. What was the most important thing you learned to help you in your career? 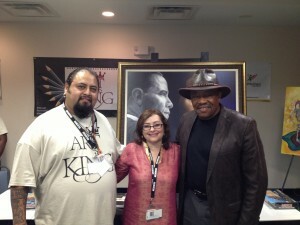 Saturday Keynote: Copyrights & Trademarks 101 for Artists, Deborah Gonzalez, Esq. We take the Internet and everything with us. No paper portfolio/now on tablets, etc. Anything you do has a visual aspect to it. Art and design connects us. Digital format gives you scalability and versatility to put into different media/formats. Software is key to digital art for gaming industry. Marketing v networking. Different approaches. Create the relationships ESP people outside the art world. Read online magazines, podcasts, etc. to keep you up to date on technology and your field. This is one of the signs that Daniel and TBBCATL is ahead of the curve in understanding that an artist’s needs includes more than just the right materials and brushes – artists also need to watch out for themselves physically and this presentation was right on point. Another important issue Daniel brought up was PROTECT YOUR HANDS. Sunday Keynote: Social Media Legal Issues for Artists, Deborah Gonzalez, Esq. What do artists have access to when they are young? Comics, tv, etc. Felt he had to earn every award he was given. Do you have your paintbrush with you? A decision is only a start. The younger generation of artists need to elevate, remember, and acknowledge older artist. The artists that came before them. Respect your elders. They are the legends. They don’t fade away. They are forgotten. I am the fleeting moment. I am the old man. Don’t waste your time not creating art. To be a great artist, bare your soul because life has an affect on you, we are all overcoming something.